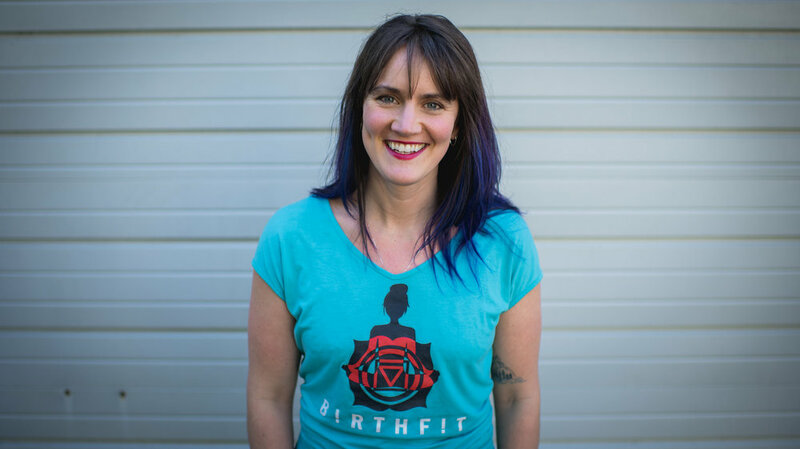 The BIRTHFIT Postpartum Series Breath & Flow class is a brand new course that highlights the importance of (you guessed it) breathing and flowing through functional movements. This class is similar to the traditional BIRTHFIT Postpartum Series, and can stand on its own as a postpartum rehabilitation course. It does, however, set the tone for the BIRTHFIT Postpartum Series and as such can serve as an introduction prior to taking the BIRTHFIT Postpartum Series. There are no weights used. While some external equipment is used, we do not focus on strength building during this course. Non-mobile babies are welcome. This class is not a "mommy and me" class and isn't designed for children, but those babies who are not yet mobile are welcome to accompany their moms. Rather than the twice weekly for four weeks (like the traditional BIRTHFIT Postpartum Series), the Breath & Flow course meets weekly for 75-90 minutes. If you'd like to join the next Breath & Flow course, register here! Lindsay Mumma, DC, is the BIRTHFIT Regional Director for North Carolina in Raleigh. CHECK OUT THE BIRTHFIT PODCAST! Tune in weekly to the podcast that's way more than birth and way more than fitness.